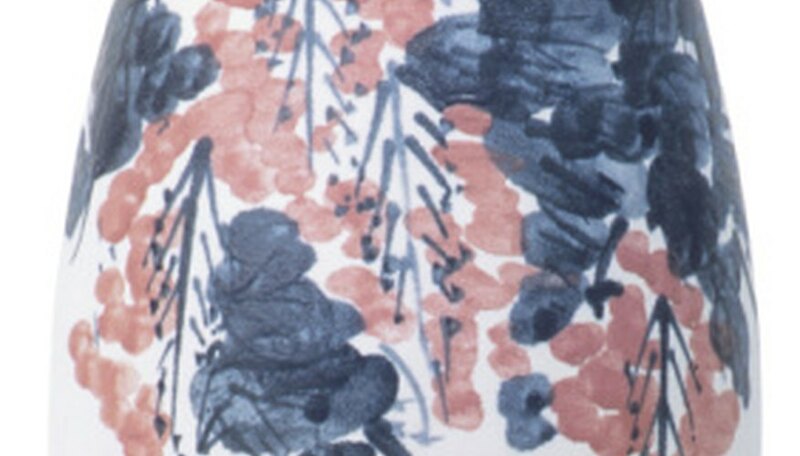 In 1878, the Japanese import company Morimura Brothers began distributing plain pieces of unpainted china, known as “blanks,” to be hand decorated by skilled artisans throughout Japan. These early pieces had back stamp markings consisting of the traditional Japanese "Kanji" characters for "Nippon" (the Japanese name for Japan), as well as the word "Nippon" spelled out in English. 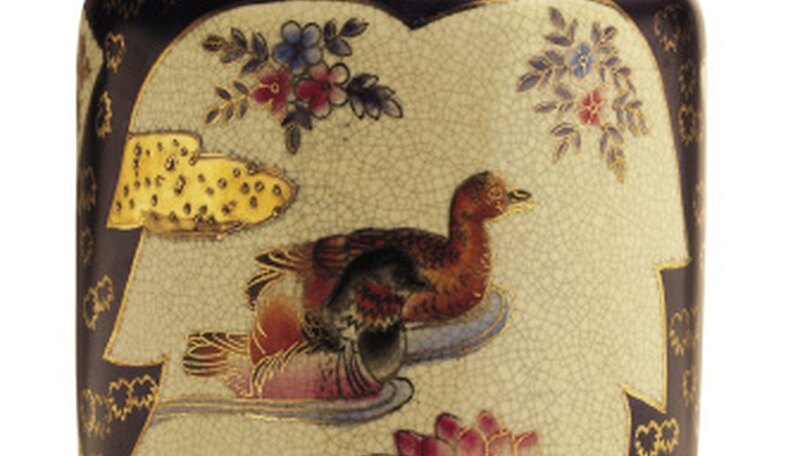 Considered to be works of art today, these Nippon-marked pieces are highly prized by collectors; however, dating them can be tricky, unless you know exactly what to look for. Look at the underside of the china piece to determine if it has the original "Nippon" back stamp intact. The Nippon mark was in use until 1921, when U.S. customs laws required Japanese importers to substitute the word “Japan” instead. Study the back stamp carefully for clues in dating the piece. In addition to the Nippon mark, pieces made for the U.S. market from 1911 to 1921 often have the letter “M” in a wreath. Pieces made for the British market are often stamped with an “X” with a vertical bar through the center, while pieces for the domestic Japanese market were usually Oriental in design and back stamped with a “Yajirobe,” a Japanese balancing toy resembling an upside-down seesaw. Look for a “Noritake” mark. Morimura began stamping its import pieces with the name “Noritake” — the suburb outside Tokyo where the factory was headquartered — in 1911. Pieces pre-dating 1911 will not have the “Noritake” mark. Check for telltale signs that the piece may be a reproduction. Because Nippon-stamped china is highly collectible, companies are reproducing vintage Nippon patterns with the Nippon back stamp. Fake Nippon have a bright white, glossy background and a heavy, chunky feel. Check the quality of the painting; the pattern should have meticulous attention to detail, and brushstrokes should be uniform — reproductions usually have sloppy, uneven painting. Fakes also sometimes have a paper "Made in China" label, which unscrupulous dealers often remove. Collector's books, such as "The Collector's Encyclopedia of Nippon" by Joan F. Van Patten, offer a wealth of information, photos and detailed descriptions of markings. Online resources also contain valuable reference materials. 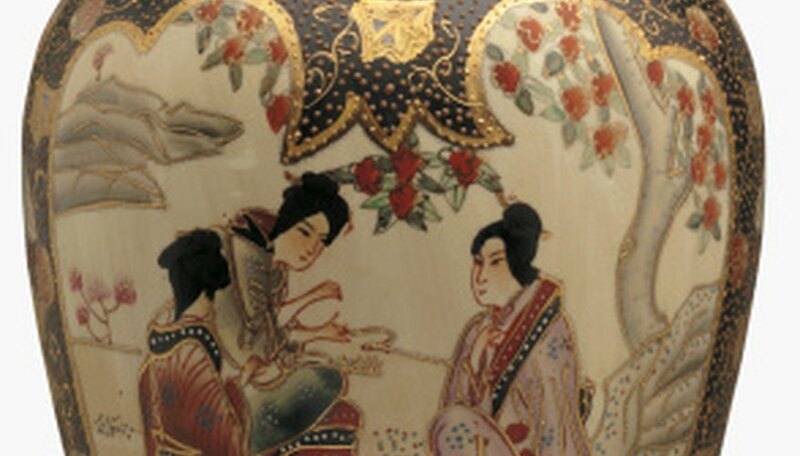 In addition, many antique dealers and museum curators now specialize in Nippon-marked china, and they can provide help in dating vintage Nippon pieces. If it's necessary to clean the piece in order to see the mark more clearly, a mild soap and water solution is most advisable and should get rid of any surface grime without damaging the surface. Any necessary repairs should be made by a professional, as inexpert repairs will devalue the piece even further.